Vintage jewelry is a great choice for an engagement ring or wedding band if you want something unique. Vintage jewelry is often handmade and therefore one-of-a-kind. 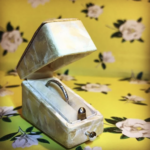 Vintage jewelry is unique to the time it was made, each piece has its own story to tell about a different time in history. One of the most exciting things about purchasing a vintage piece is finding out about its past. If you pick a vintage engagement ring or wedding band, it is likely one of the biggest purchases you’ll make with your partner. It’s important to love every aspect of your ring. It is particularly important to choose a trusted jeweler when picking out your vintage engagement ring in order to be confident in its authenticity and quality. Many jewelers have pieces that are only vintage-inspired, rather than authentic vintage engagement rings. 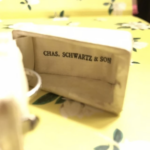 The experts at Charles Schwartz can help you and your partner through the whole process of finding a vintage engagement ring you’ll cherish forever. If you’re interested in finding a unique piece of vintage jewelry in Washington, D.C., contact the expert jewelers at Charles Schwartz today.